Want a snack that’s not only healthy, but tasty and full of nutrition? One that will maybe even help you to whittle your waistline? All with no stove involved…. These bite-size snacks are the perfect way to enjoy something yummy while also packing a whopping nutritional punch. Mix all the ingredients in a bowl. Once everything is mixed together, roll into balls and place on a lined baking sheet. I like to roll in unsweetened coconut flakes before I place them in the refrigerator. The coconut flakes are totally optional. Place the baking sheet in the fridge for 30 minutes or so. Once the balls are cold you can place them in an airtight container where they should be eaten within 72 hours. 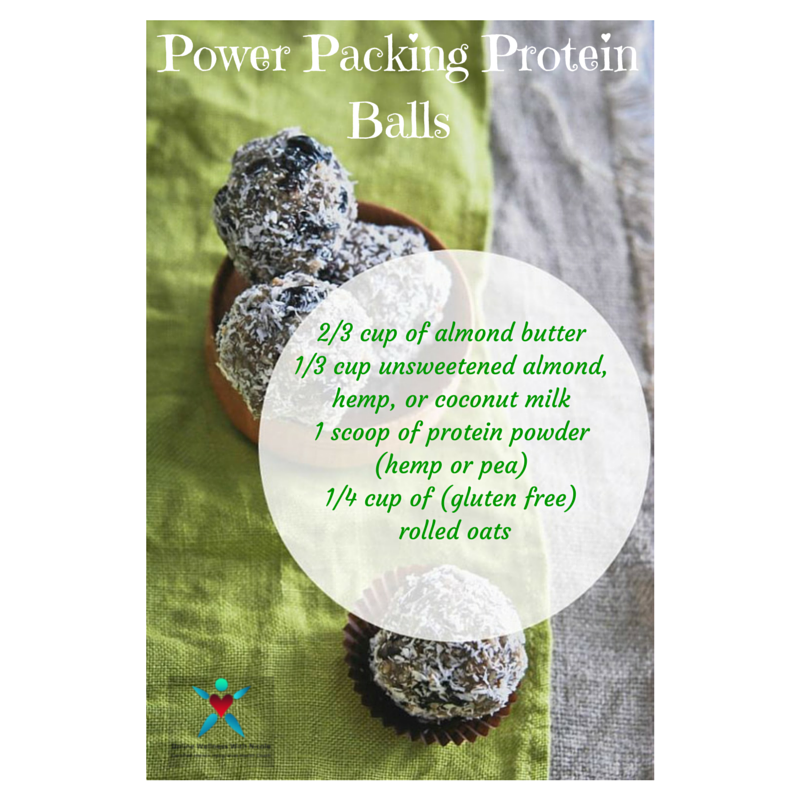 You can use any kind of protein powder for these balls, but I highly recommend giving hemp protein powder a try. Living Harvest and Nutiva are two great brands of unrefined, pure hemp protein. Try whipping up this tasty treat to satisfy your taste buds AND provide a whopping nutritive punch!